Dr Monsour is a medical practitioner with business interests in Queensland medical centres. He operates a medical management company that provides management support to medical practitioners and is also one of Australia's leading providers of software systems for Occupational Health and Safety and Medical Accounting. 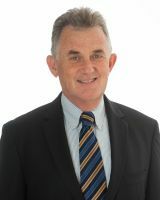 Mr Daly is a Chartered Biomedical and Mechanical Engineer with 22 years of professional engineering experience, the last seventeen in the medical device industry. He has an honours degree in Mechanical Engineering from the University of Queensland and an Executive MBA from the Australian Graduate School of Management in Sydney. Mr Daly has expertise in design processes, quality systems, and business system improvement, and is trained in the use of Six Sigma tools. He has extensive hands-on design experience of product development in FDA QSR and ISO 13485 environments in some of Australia's largest and smallest medical device companies. 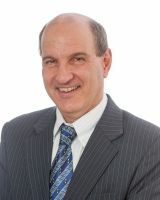 Mr. Mangelsdorf is a Chartered Accountant with 27 years experience. 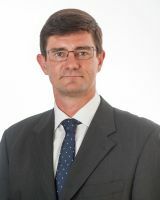 He works with SME production, manufacturing and retail firms assisting them with business, taxation and management services, taking on the role of Chief Financial Officer for a number of firms. 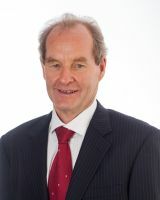 He is a director of a Queensland-based land development company and a chartered accounting firm. 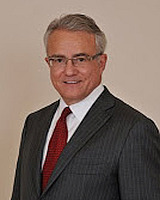 Dr. Corr has extensive experience in the discovery and development of medicines as well as the sale of assets to major multinational corporations. Dr. Corr Co-Founded and is Managing General Partner of Auven Therapeutics, a private equity firm pursuing a life science investment strategy where products are acquired, developed and then sold to multinational pharmaceutical firms. Dr. Corr was previously a Professor of Medicine and Pharmacology at Washington University for 18 years. He then joined Searle as Senior VP of Discovery Research, and subsequently was President of Research and Development at Warner Lambert / Parke Davis and then President, worldwide Development at Pfizer, and Corporate Senior Vice President of Science and Technology at Pfizer. 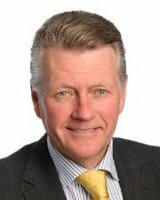 Dr Lönngren brings a wealth of knowledge to the board having had a distinguished career serving as top international regulator for over 25 years and lately working as strategic advisor and board member for pharmaceutical and medical device companies. Dr Lönngren holds a Degree in Pharmacy and a Master of Science Degree in social and regulatory pharmacy from the University of Uppsala and has completed an advanced course in Health Economy at the Stockholm School of Economics. He holds an Honorary Doctorate from the University of Bath, UK (2011), an Honorary Doctorate from the University of Uppsala, Sweden (2008), an Honorary Fellow of the Royal College of Physicians and Honorary Member of the Royal Pharmaceutical Society of Great Britain. Bryan is the founder of CoSA Life Sciences, a specialist Life Science company established for 15 years providing Company Secretarial, CFO, general management and strategic advice to life science companies. Bryan has extensive experience in the financial control of Life Science companies previously holding positions of Executive Chairman, Managing Director and CFO roles of various listed life sciences companies.